Framed lines with support and comfort. Clean lines throughout are supportive and comfortable, no matter what the activity. A sunken padded arm frames the contemporary arm front. 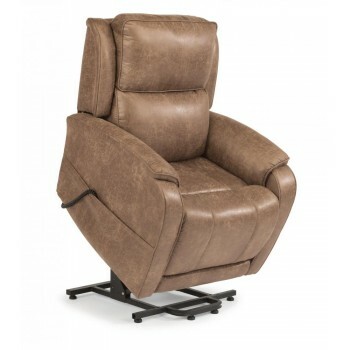 With a fully padded footrest, this lift recliner provides tremendous comfort for when you're reading a book or watching TV. Nilson's medium scale and easy-to-use hand control make it an ideal piece for your home.